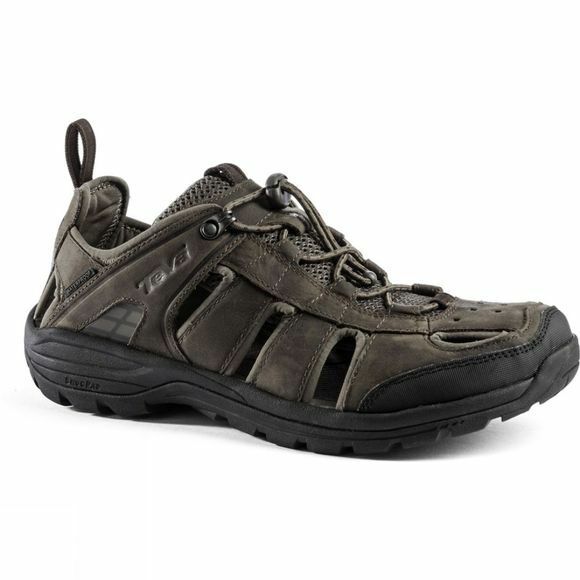 The Men's Kimtah Sandal Leather is a tough and durable sandal ready for any adventure you have planned this summer. It's water resistant leather upper wraps around your foot to support it and secure it to the sole unit. There is a Microban zinc based anti-microbial treatment on the shoe which helps to alleviate the issue of odours hanging around as well as a soft Shoc Pad in the heel to provide shock absorption and reduce fatigue in your feet. The Spider365 rubber sole unit will hold its grip in all kinds of environments which will allow you to trust it and push yourself further than you imagined.